Steele Jantz was brilliant with 5 TD passes and 435 yards of total offense in Iowa State’s 35-21 win over the Baylor Bears. Iowa State fell just short of a victory over #5 Kansas State at Jack Trice Stadium last Saturday, the Cyclones fall to 4-2 and 1-2 with the loss. 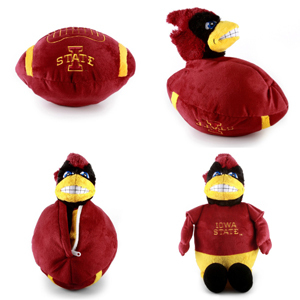 Texas Tech gave Iowa State it’s first loss of the year with a 24-13 victory at Jack Trice Stadium. A.J. 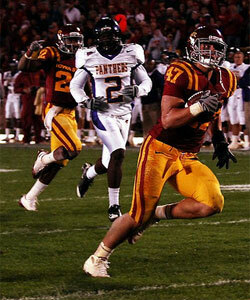 Klein’s 87 yard interception return for a touchdown was one of the bright spots for ISU. 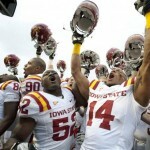 The Iowa State Cyclones held on to the Cy-Hawk trophy another year with a 9-6 win over Iowa at Kinnick Stadium. 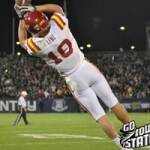 Jake Knott intercepted a pass with 1:11 remaining to secure the Cyclone victory. 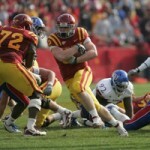 Iowa State had a good start to the 2012 season with a 38-23 victory over a talented Tulsa Golden Hurricane squad. Steele Jantz threw for 2 touchdowns and ran for another. 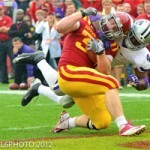 Iowa State notched Big 12 victory #2 with a 13-10 victory over the Kansas Jayhawks. Jared Barnett threw for 175 yards and ran for 125 in the Cyclone win. Iowa State got their first conference win on the road in Lubbock with a 41-7 trouncing of #19 Texas Tech. 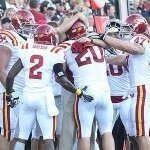 The Cyclones rushed for 368 yards and won the time of possession battle 40 to 20.